Superdry men's Surplus Goods cargo pants. Shake up your trouser collection with a pair of our Surplus Goods cargo pants, featuring a six pocket design, with additional coin pocket, belt loops and a zip fly fastening. 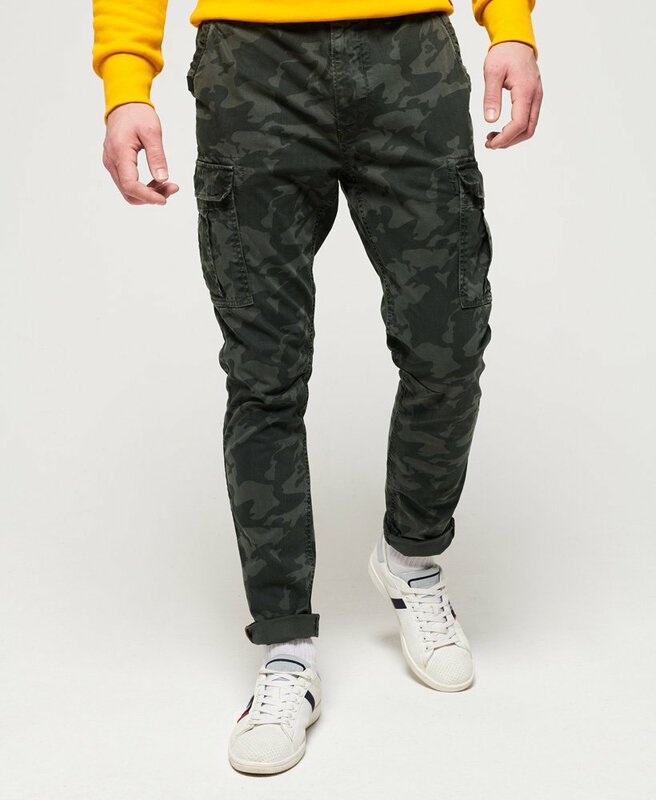 Completed with a logo tab on one pocket and logo badge on the rear of the waistband, style these cargo pants with a crisp button down shirt to nail the smart casual look.